I have such fond memories of you. You were just a couple of miles away from my home and you had such colorful rides. 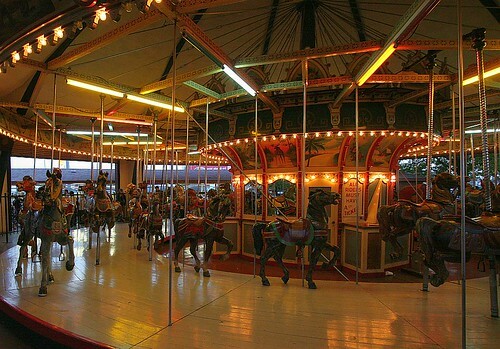 It was at Kiddieland that I experienced my first amusement center rides: the Carousel, the little Ferris Wheel, the Autos, and the Elephants (! ), the Bumper Cars. There was a tiny baby rollercoaster and the bigger rollercoaster called the Little Dipper. I wondered what had happened when, a couple of weeks ago, we drove past on our way from Gene & Jude’s Hot Dogs and saw that you were abandoned. And now I know. I heard it on NPR. 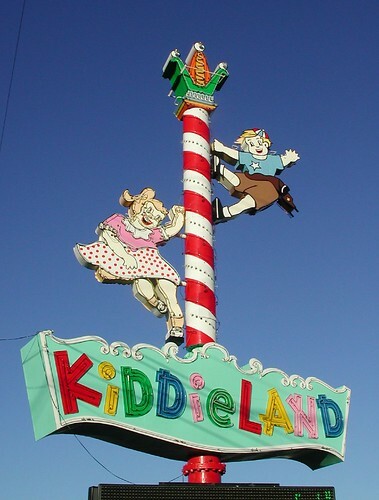 For 81 years, Kiddieland was a fixture in Melrose Park. Yesterday it was demolished. It will now be replaced by a Costco. A sad end for a colorful and wonderful tiny little amusement park. I found some photos for reminiscing.